My mother is a sweet old lady that doesn’t like to spend much on things. Most of the prices of the luggage sets she looked at seemed too expensive for her, despite being a regular traveler now retired. I helped her look for a quality luggage set and what we decided on was the Rockland Melbourne Luggage 3 Piece Set. 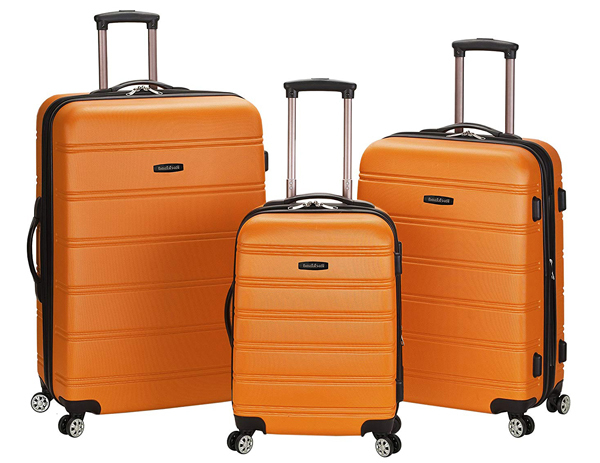 After much research on what is the best luggage set for traveling, we liked the features and price point for this Luggage 3 piece set. 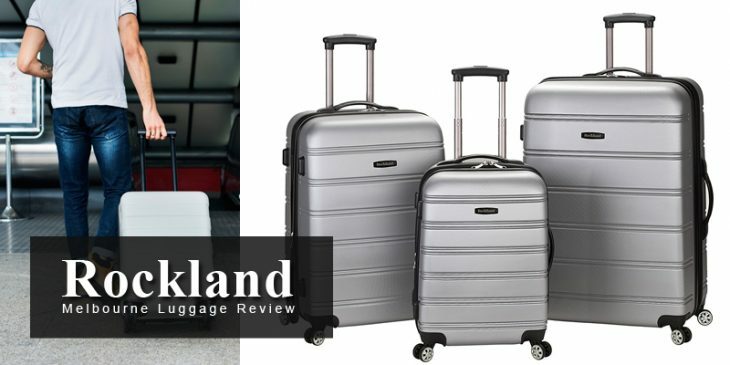 It was this combination of value and features that made her choose the Rockland Melbourne Luggage set. Since then, it’s made its way through several airports and she is happy with my selection. 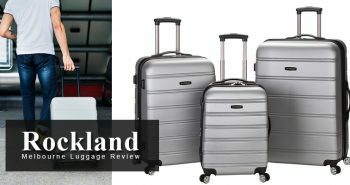 Here’s a closer look at the Rockland Melbourne Luggage set and why it’s a great option for travelers. Initially, a luggage set wasn’t something she considered when we first started looking, but I convinced her on buying the three-piece as it gave options for each trip she would take. 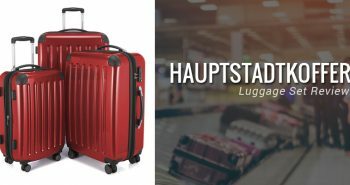 The three bags are 28” (71cm), 24” (61cm) and 20” (51cm) tall respectively, with two larger bags suitable for checked baggage and one cabin bag. 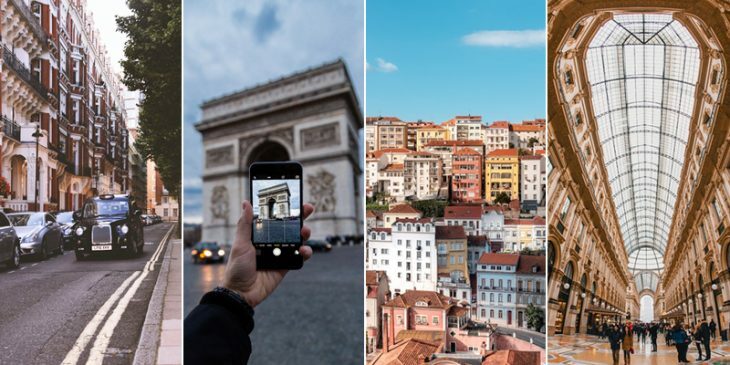 As an individual traveler, I appreciate having the choice between the two sizes depending on the length of my trip, and using the three also works very well for holidays with my husband as well. In fact, we’ve found that for shorter trips, just one bag can fit both of our belongings. In this article, I review the Columbia Women’s Switchback II Jacket. 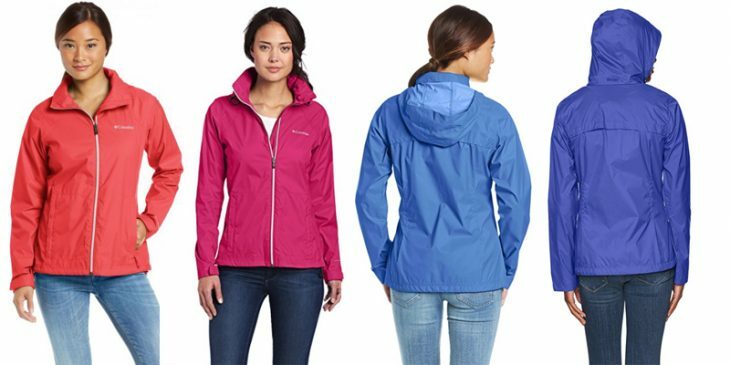 There are a lot of rain jackets on the market, but I believe I’ve found the best lightweight waterproof jacket for women in terms of value, style and price point. 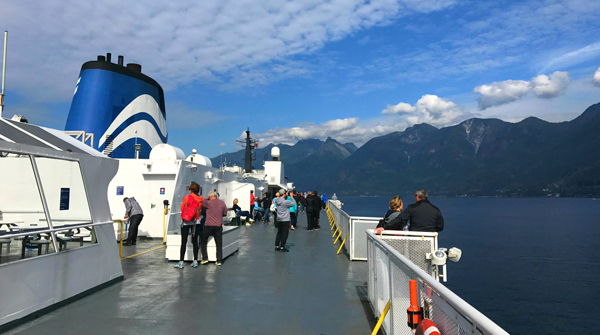 On a recent spring trip to Vancouver Island, British Columbia, I boarded a ferry to the city of Victoria from Port Angeles, Washington. Sunny skies suddenly turned to cloudy drizzle are caught me by surprise. I found myself wrapping my inadequate sweater jacket around myself. I really wanted to spend this ferry trip at the helm, marveling at the passing Olympic Peninsula waters, instead of hunkering down inside and drinking stale coffee. The temperatures were mild, but the incessant drizzle was soaking my jacket. I realized I had made a mistake: I did not bring along a suitable light rain jacket on this trip, something that was pointed out to me my by some locals as a rookie mistake to the Pacific North-West, as it randomly rains a lot. But a little post-sailing shopping spree never hurt anyone, right? Vancouver is a very trendy modern city, with a down to earth nature vibe to it. Home to such brands as Lululemon and RYU, the friendly people are active and tend to dress in layers often due to random rainy drizzles much like the one I found myself in. If there is one thing a lady needs, it’s a high-quality, durable waterproof jacket. Whether I am walking the city streets, or going for a hike on a forest trail, having a light wind-breaking rain jacket is a must. I needed one that was waist-length for ease of movement, fashionable and functional. A warm-weather coat that spoke to my adventurous side when traveling, and to also be an everyday jacket. Thailand, you hot, humid, glorious goddess. You are equal parts beautiful and messy, wild and prudish, sublime and exhausting. I fell in love with Thailand from the first day, despite the intense embrace of humidity that greeted me like an old friend. 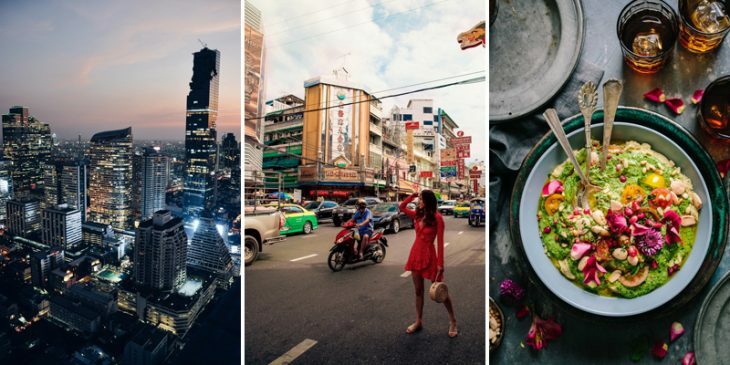 From the beautiful chaos of Bangkok to the peaceful mountains to the incredible landscapes of the countryside, Thailand is a mix of old and new. 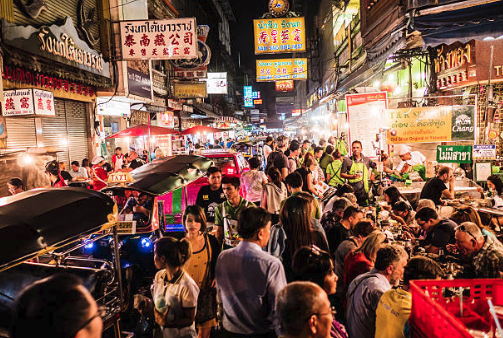 The city of Bangkok is a mish-mash of crazy shopping, delightful temples, and a welcoming culture. They love tourists as long as they respect their traditions! But I guess the same is true in just about any part of the world. Chang Mai seemed to be a bit more ‘Americanized’, where the younger locals are fashionable yet still modest in their dress. There is a large expat population here, and I found evidence of that throughout the city in the way of familiar retail stores and fast-food restaurants. The first thing that hits you when you enter the city of Dubai is the buildings. So many of them, so gleaming, so tall. So…futuristic. In this relatively new city, its as if Dubai was racing to win some contest on who can build the most luxury in the shortest amount of time. Concrete jungle is putting is mildly. I lost count of the skyscrapers at about one hundred. As we sped down the multi-lane motorway to the hotel, they seemed never-ending. Of course, with luxury comes decadence. Many people who live here are wealthy, yet hard-working expats. And when they’re done working? They want to play. They want to shop. And they want the very best of all of it. You wouldn’t think this level of extravagance would reside smack dab in the Middle Eastern desert. Dubai is like Las Vegas, only much more humid. When you walk down the street, women are dressed conservatively. You will generally not see anyone showing their knees, shoulders, and certainly not a hint of cleavage. 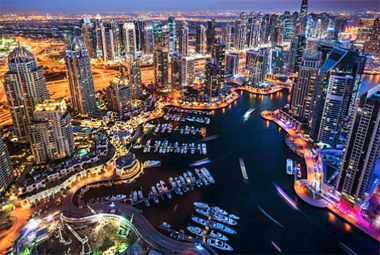 On the surface, Dubai may feel like a cosmopolitan playground, but you are still in a Muslim country. Reminders to cover up are posted in many public areas. 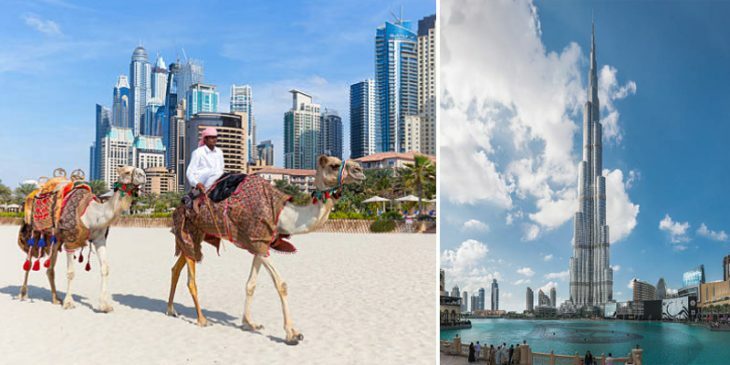 My first day in Dubai, I was wearing a sleeveless blouse, and I was at the receiving end of several disapproving stares. Very uncomfortable! Later on, the hotel concierge told me that in other areas, such as the beach, a hotel pool, or in a nightclub, the conservative rule flies out the window. Women can show as much skin as they feel comfortable when clubbing. No need for traditional cover-ups (although many women still wear them while they are sunbathing!) And if you have to go through the hotel lobby to get to the pool, you will need an easy cover-up such as a kaftan. 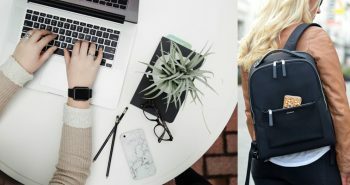 In this article, I’ll be talking about the Delsey Chatelet Hard Luggage I purchased for my trip to Europe. 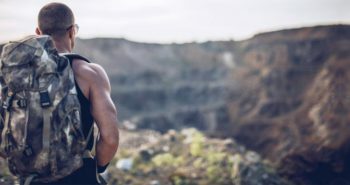 For one of the biggest trips of my life (at the time) I bought all new travel gear and heavily researched the best options. This Delsey Luggage Review will discuss many of the features this particular Luggage set offers. I didn’t consider myself a person who traveled much until I got married. My husband and I took lots of local vacations and weekend getaways, but we really didn’t become big travelers until after we tied the knot. Our honeymoon was one month in Europe, which is not your typical post-wedding getaway. However, my husband and I are both down to earth, practical people who would rather have a low key wedding and a traveling experience we’d never forget. I honestly remember planning for that trip more than my wedding itself. About a month before the trip, I decided I wanted to treat myself to new luggage case. I needed something strong, durable and also something that was very stylish. This Panda is here to help you save money. 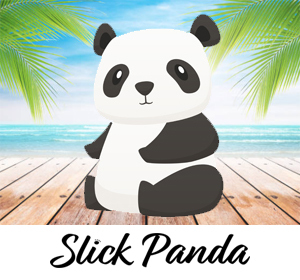 Slick Panda Copyright © 2018.Slick Panda does participate in some select affiliate programs. This means that if you click and/or make a purchase through certain affiliate links on this site, Slick Panda may make a small commission (at no additional cost to you).Slick Panda is also a participant in the Amazon Services LLC Associates Program, an affiliate advertising program designed to provide a means for sites to earn advertising fees by advertising and linking to Amazon.com.All opinions are of the staff from real-life stories.